Beginning with historic works drawn from the RA Collection, From Life will trace a line from the origins of the RA in the 18th century to the present day. 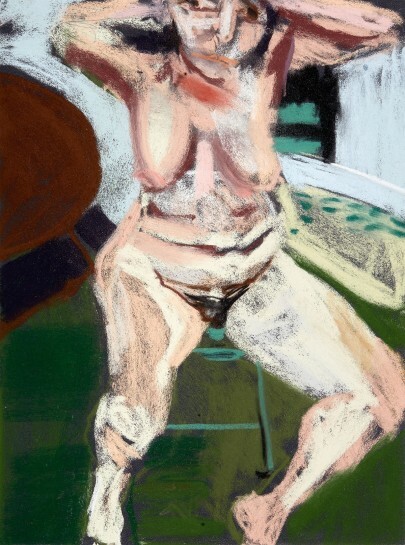 Alongside a room devoted to Jeremy Deller’s Iggy Pop Life Class, we will show contemporary work in diverse media by various artists including numerous Royal Academicians who continue to interrogate the practice of working from life, among them Jenny Saville, Chantal Joffe and Gillian Wearing. Finally we will see how emerging technologies present artists with new ways to both observe and represent themselves and the world around them, opening up unexplored techniques and pushing back physical limitations. Through the work of artists Antony Gormley, Humphrey Ocean and Jonathan Yeo, and architect Farshid Moussavi, we will offer a glimpse of possible future applications of virtual and augmented reality in the art of tomorrow. © Chantal Joffe, courtesy the artist and Victoria Miro, London.